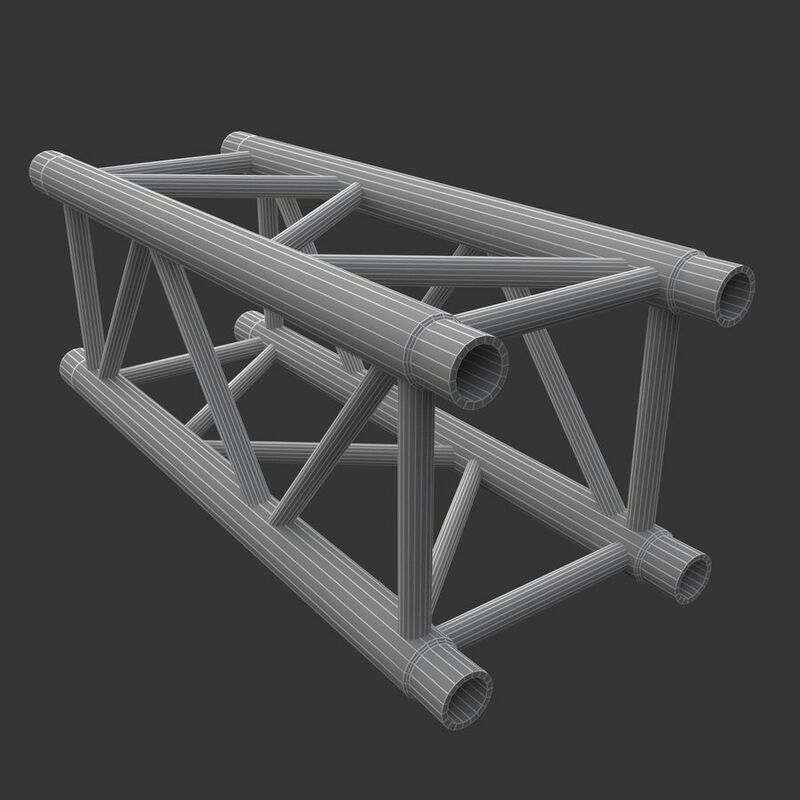 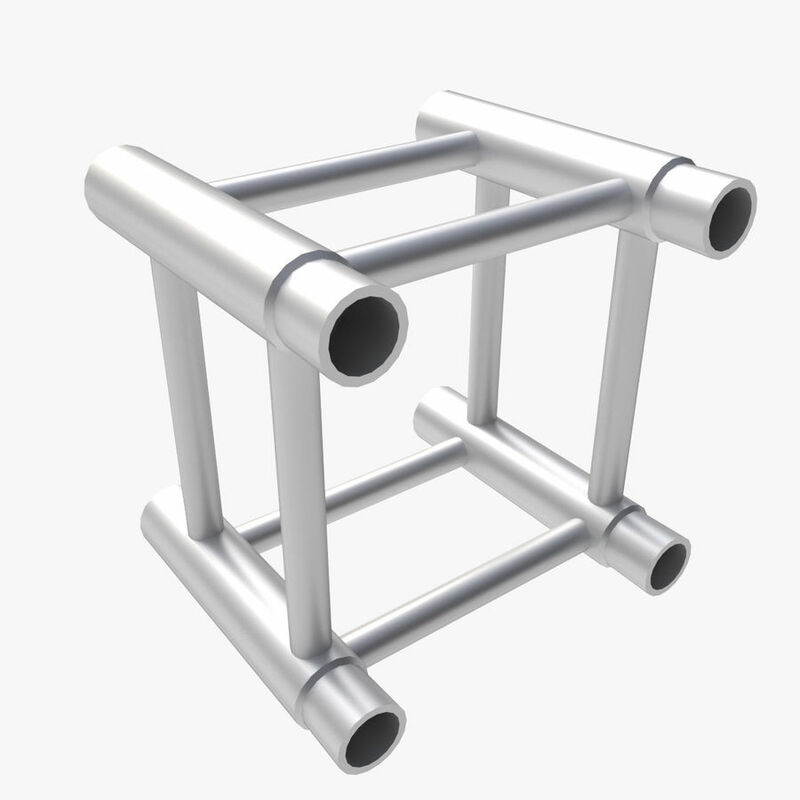 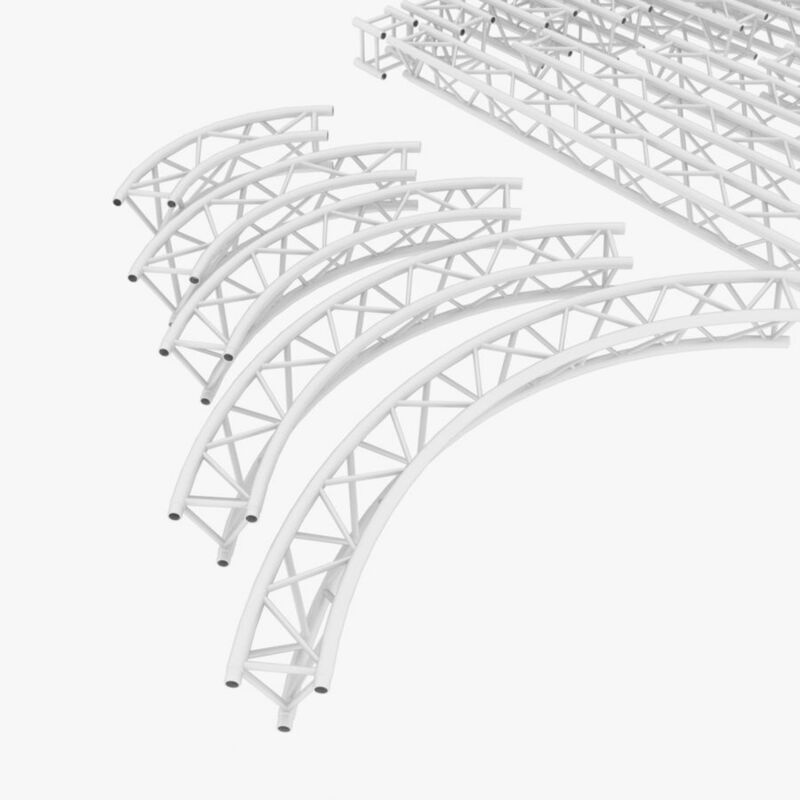 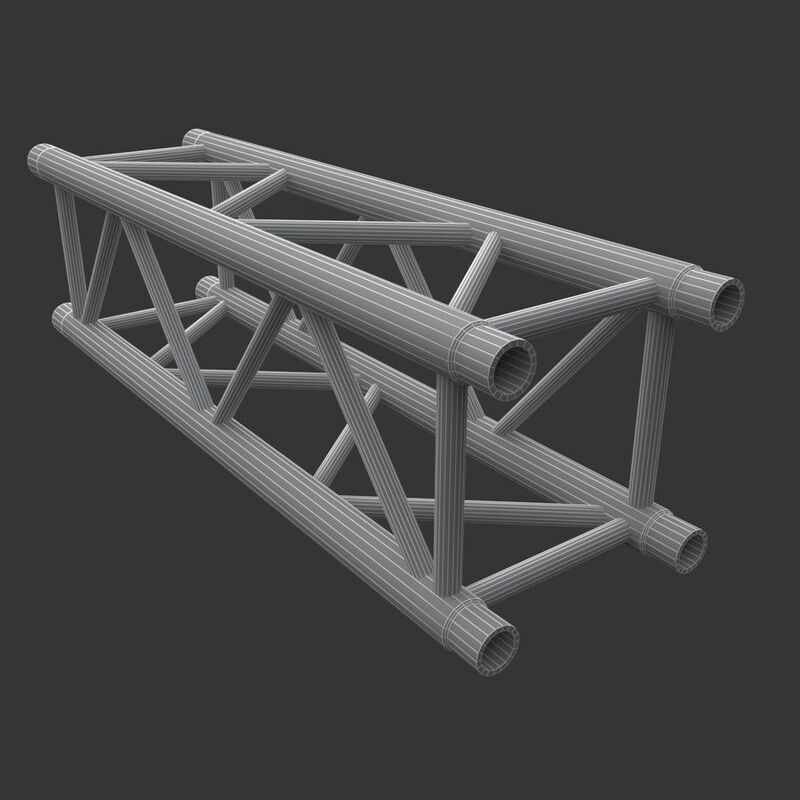 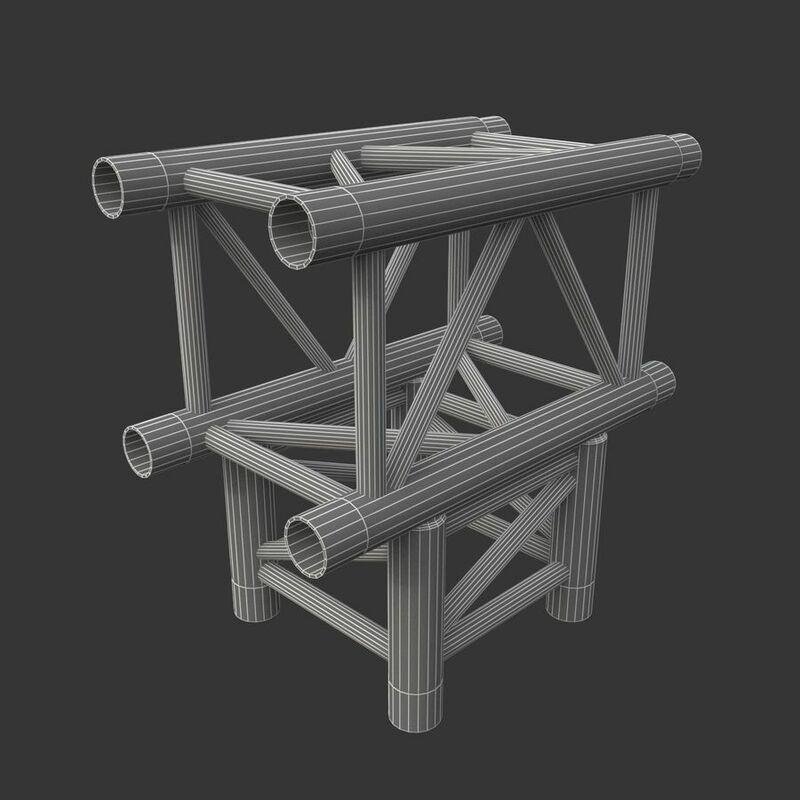 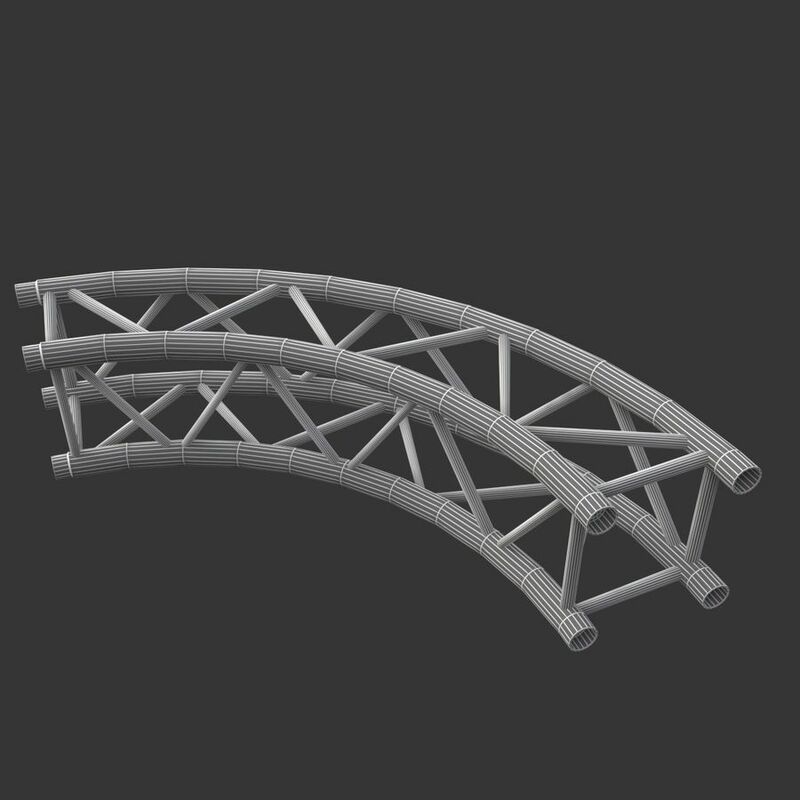 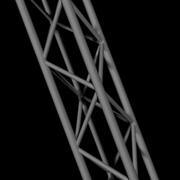 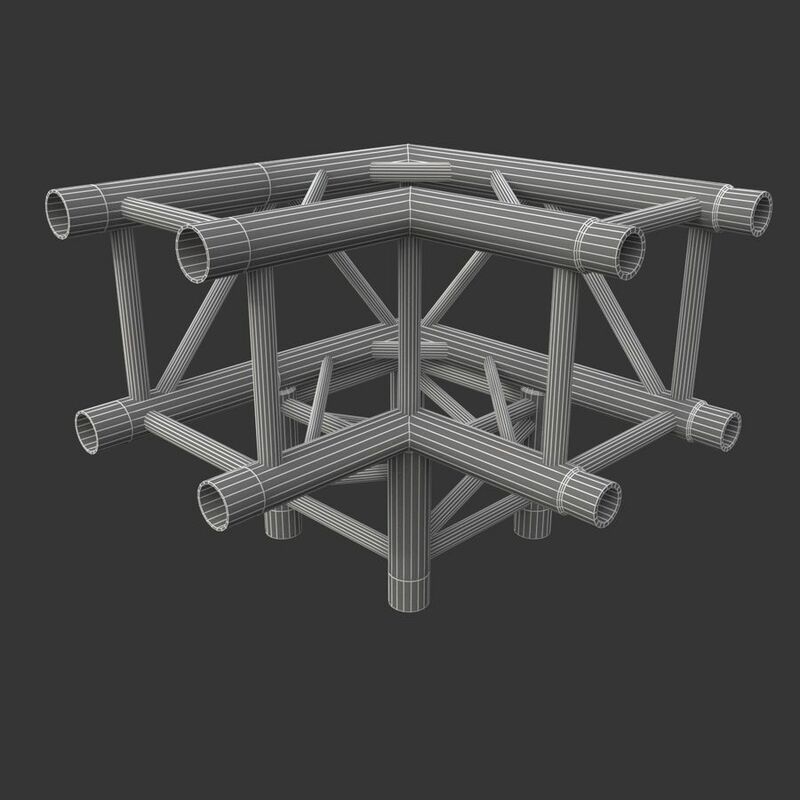 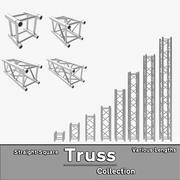 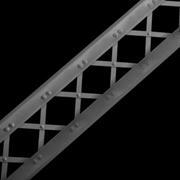 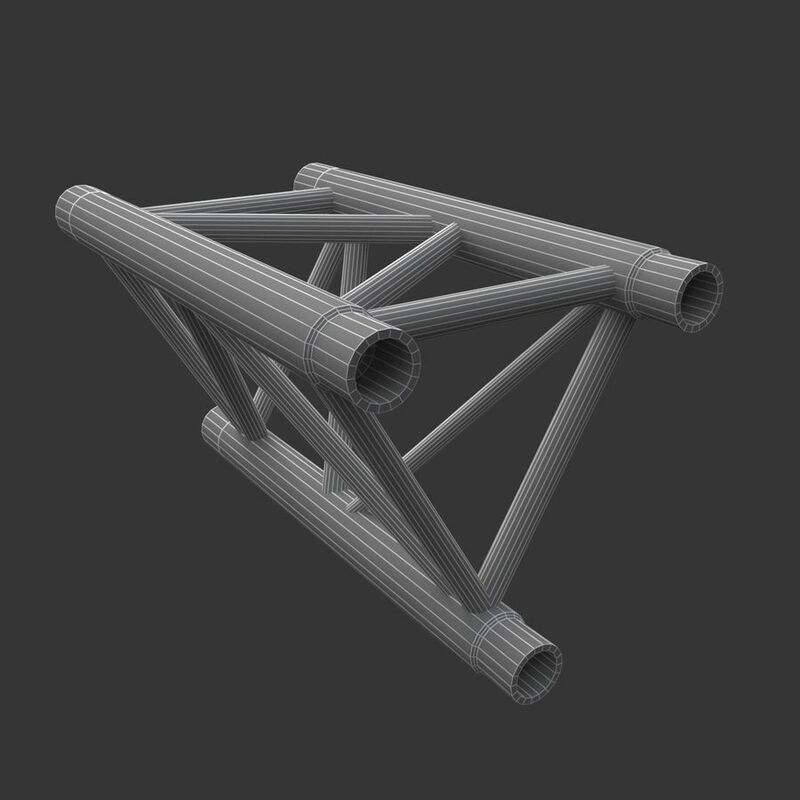 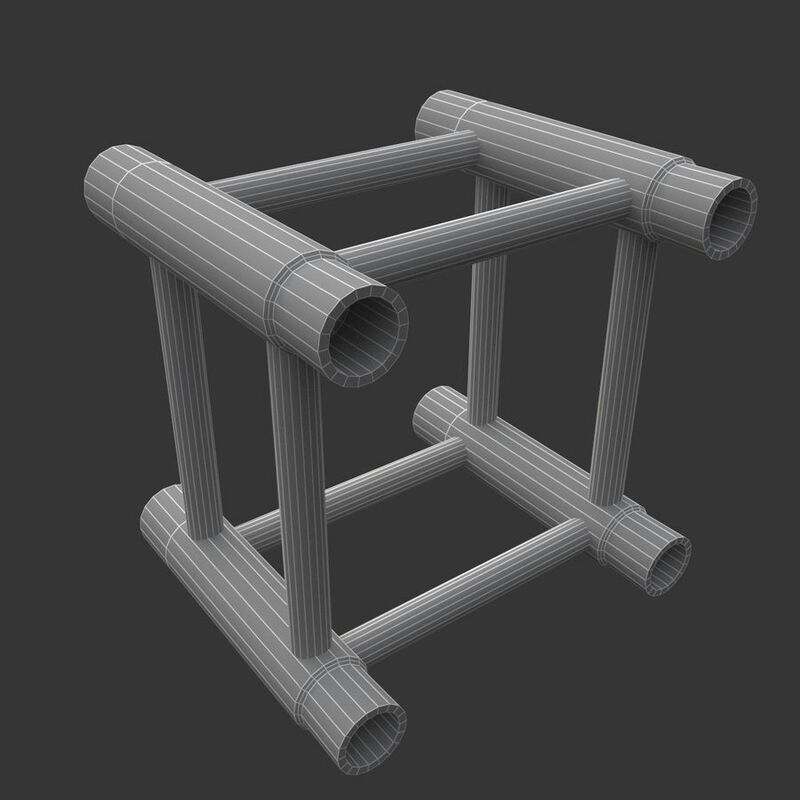 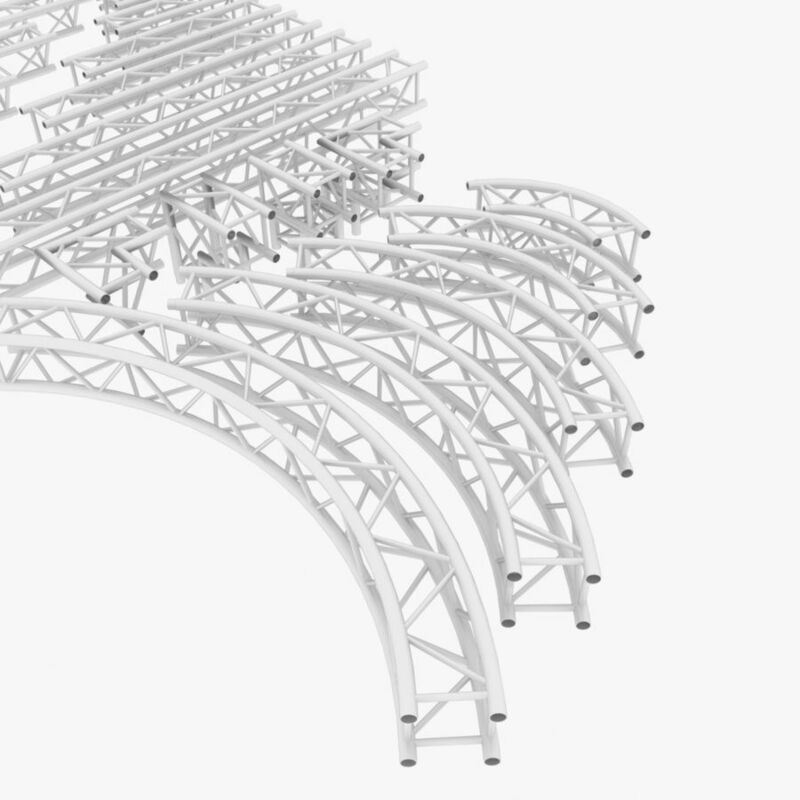 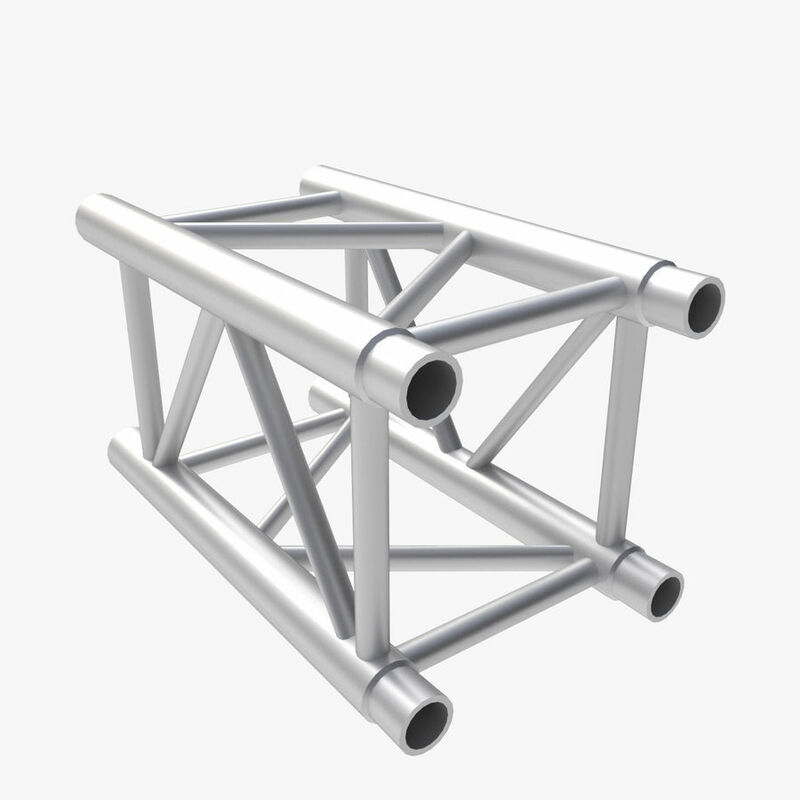 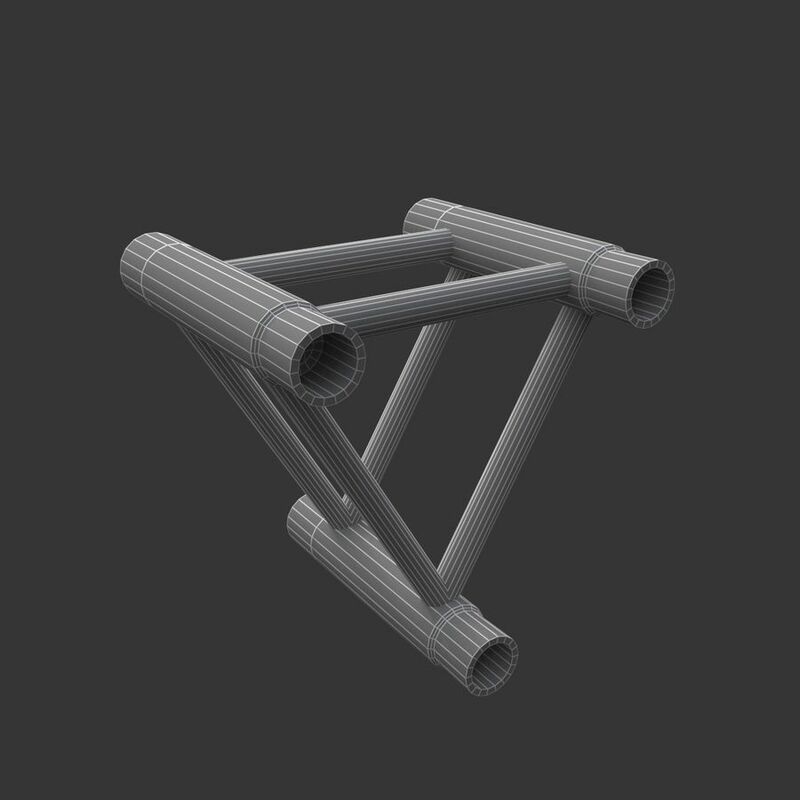 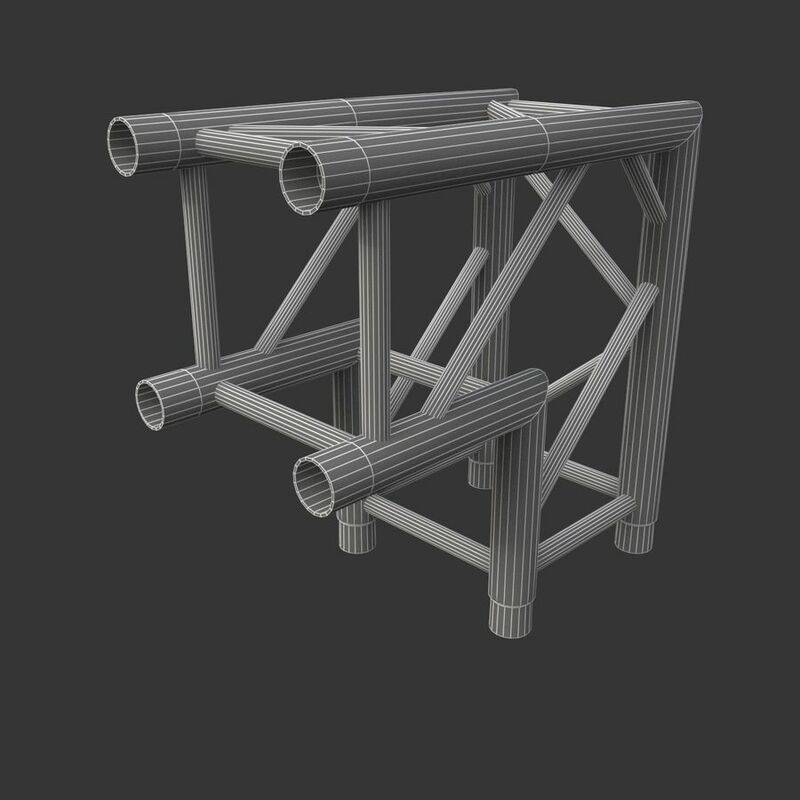 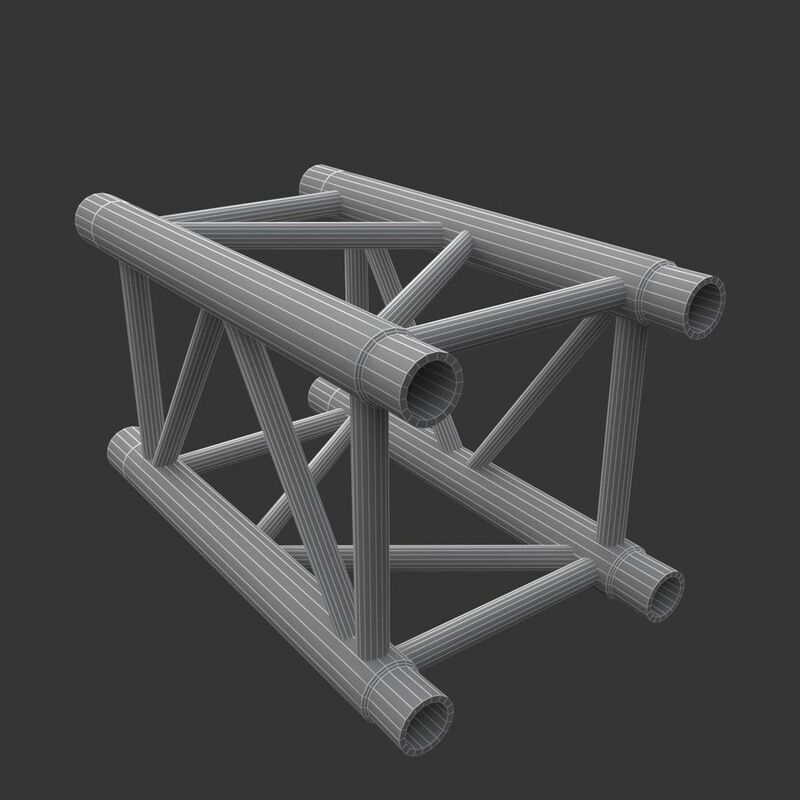 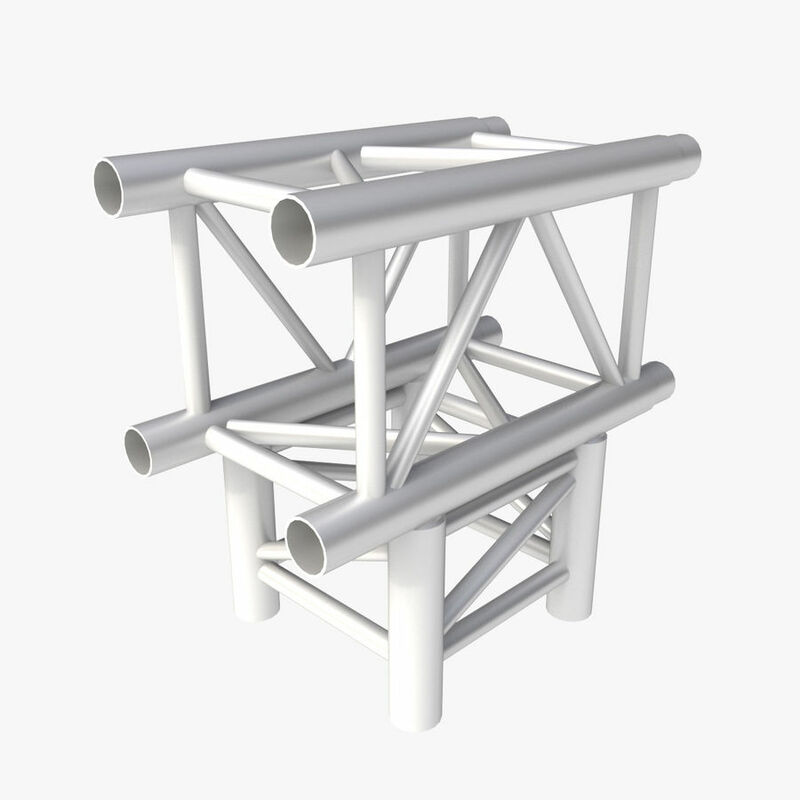 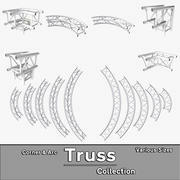 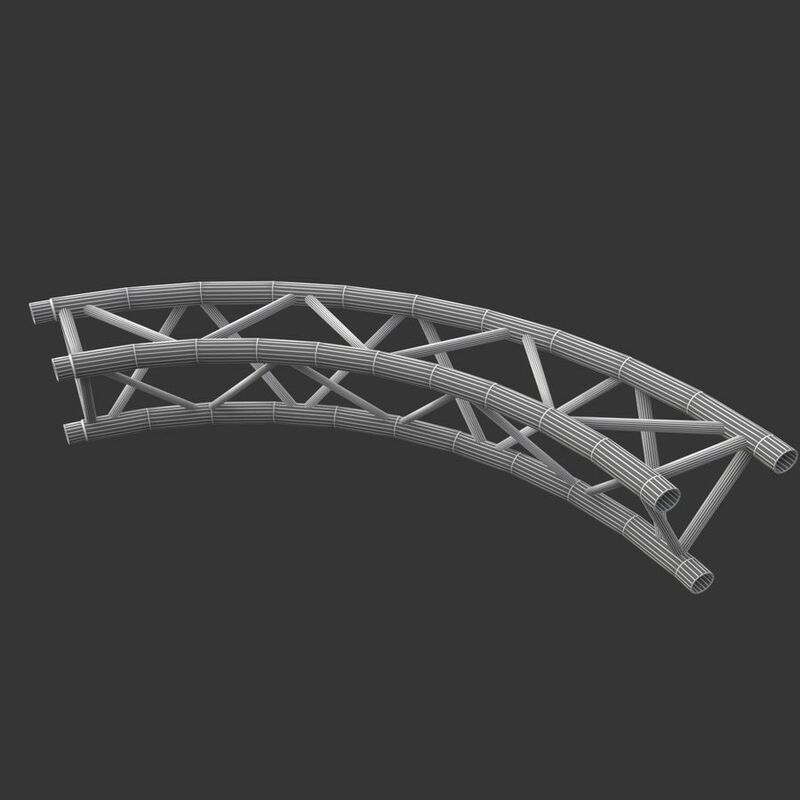 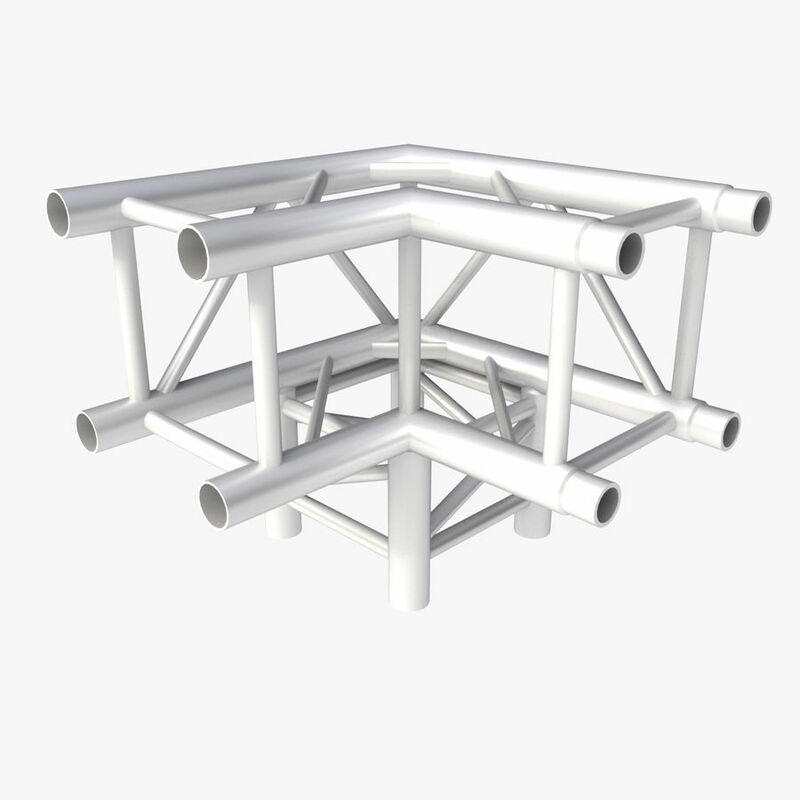 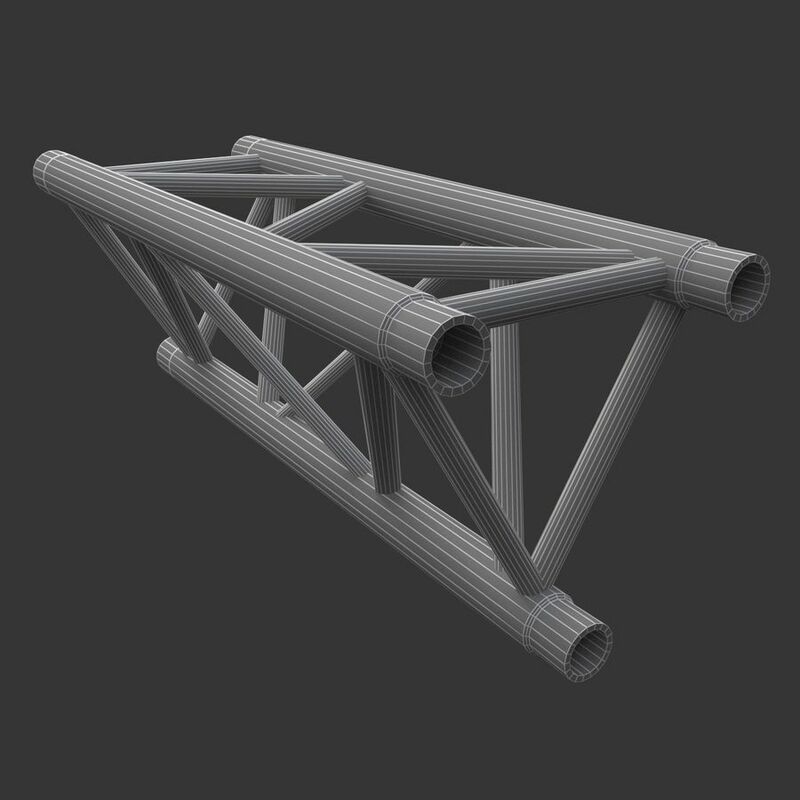 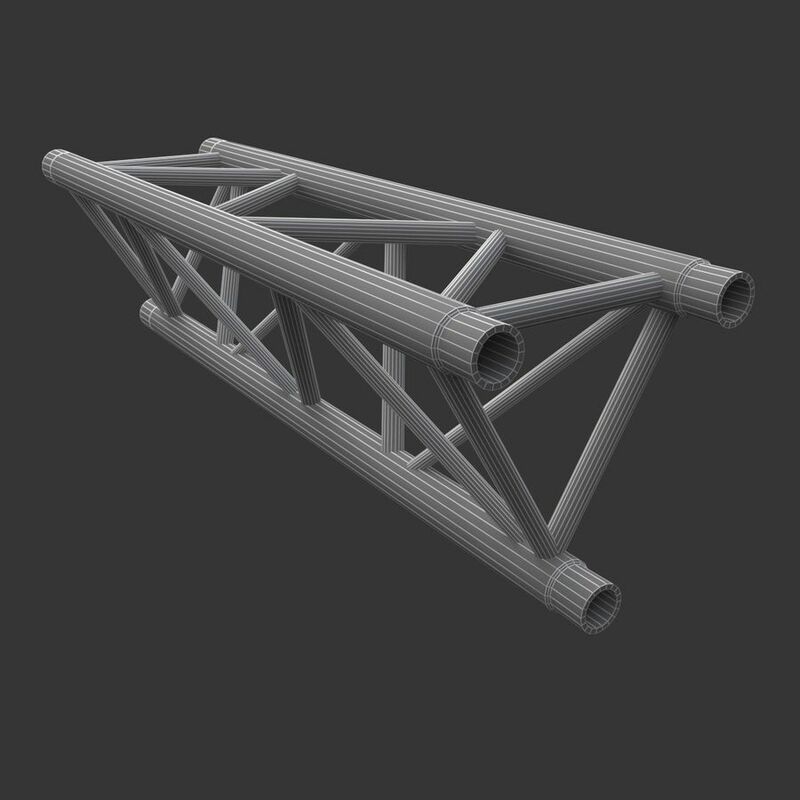 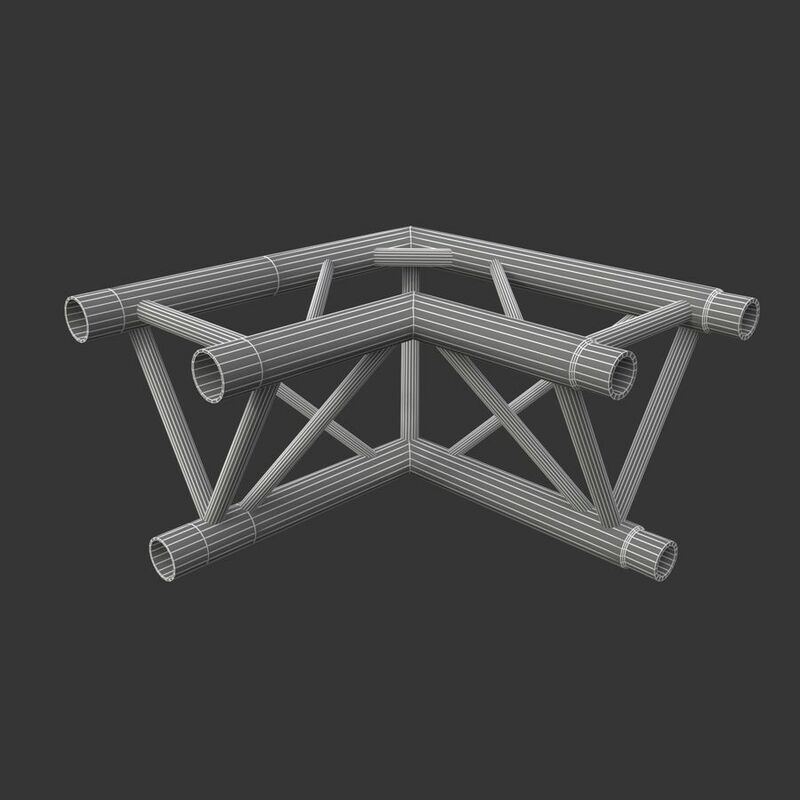 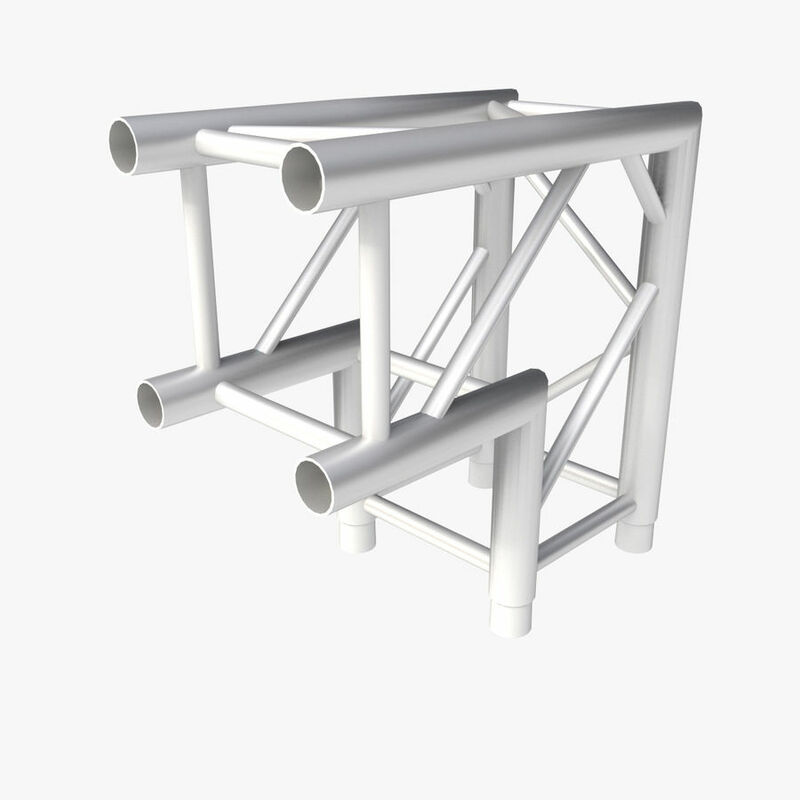 Modular Truss Collection ====================== Model Info; - Modeled in 3ds Max 2013 - 100% Quads - Modeled in Real World Scale - Modular - All Geometry Named Appropriately - Each Arc Piece is pivoted to allow rotation to make a Perfect circle. 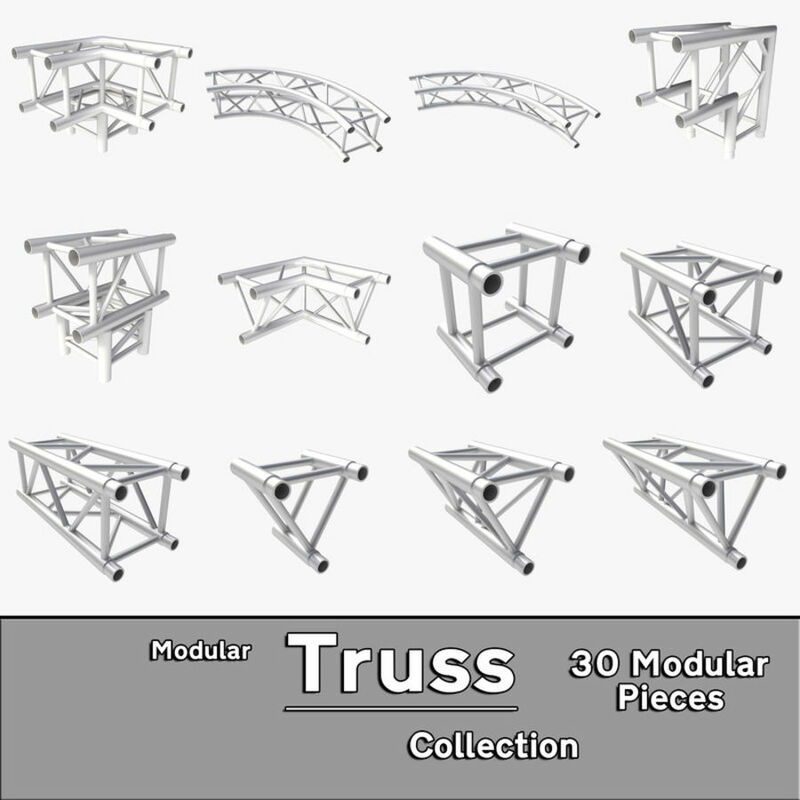 - 30 Modular Pieces. 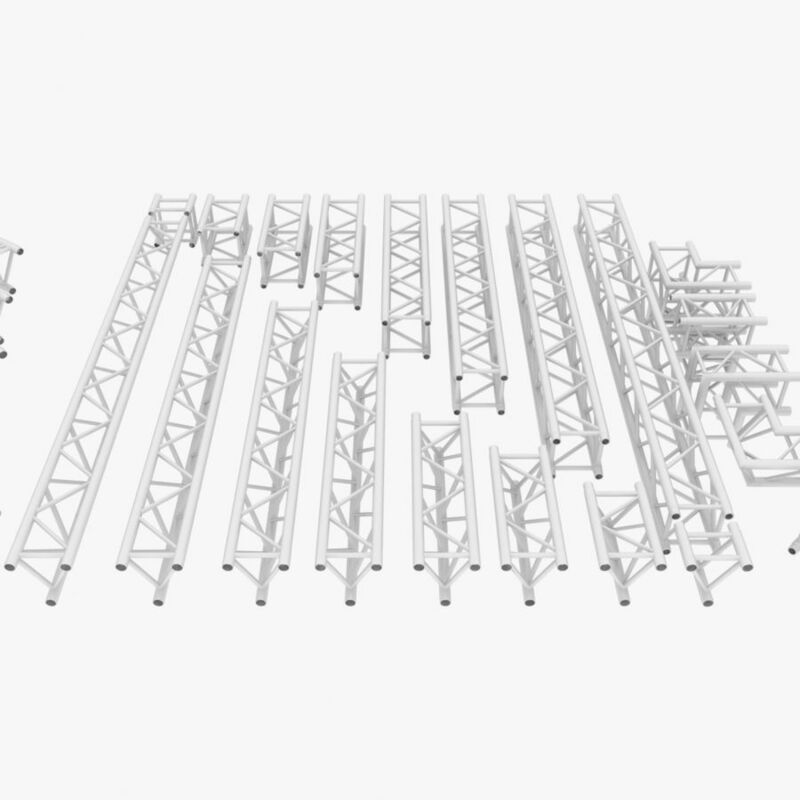 File Info; - Files do NOT include any Lighting or Rendering Setup - All other Formats were exported from 3ds Max - All Formats Contains the various pieces in a Single File. 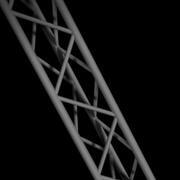 - Includes a Default Scanline .MAX File. 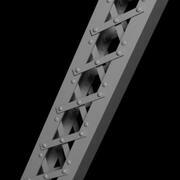 - Pieces are Individually Grouped. 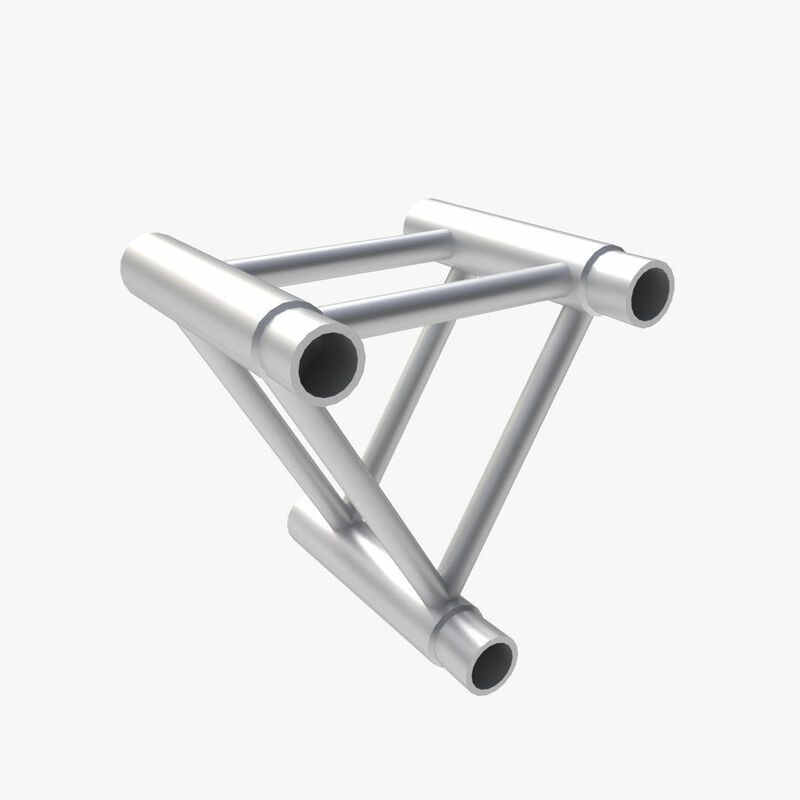 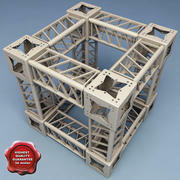 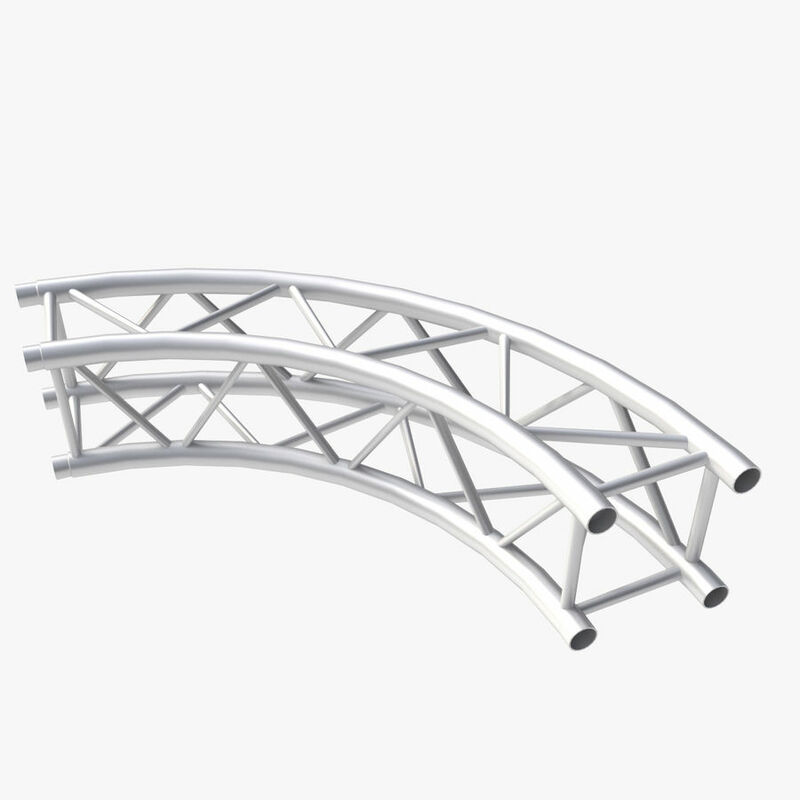 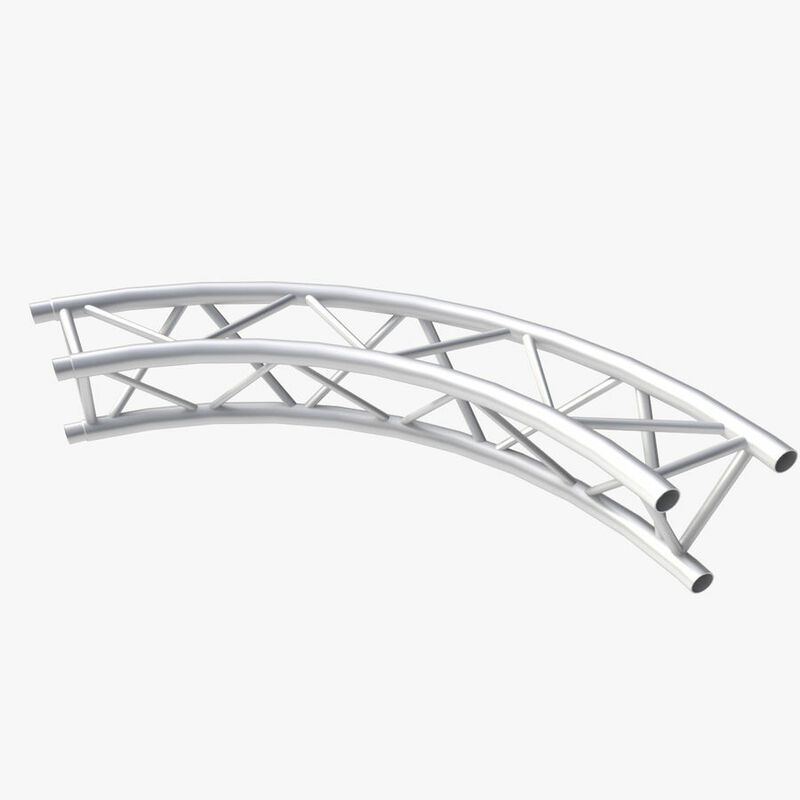 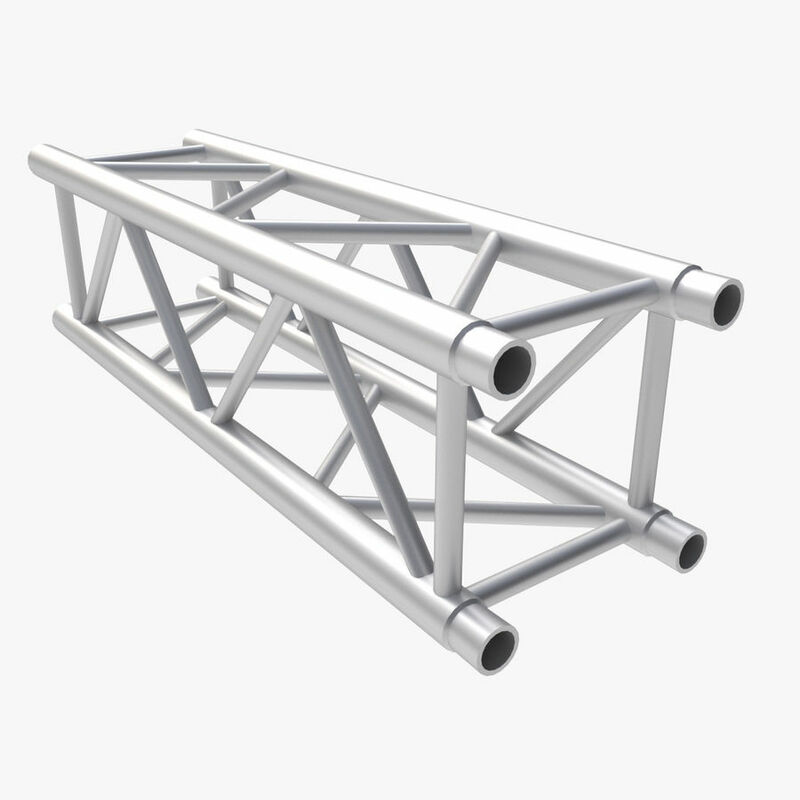 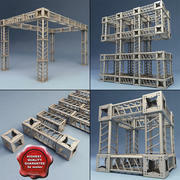 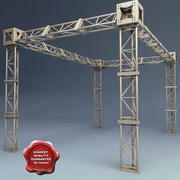 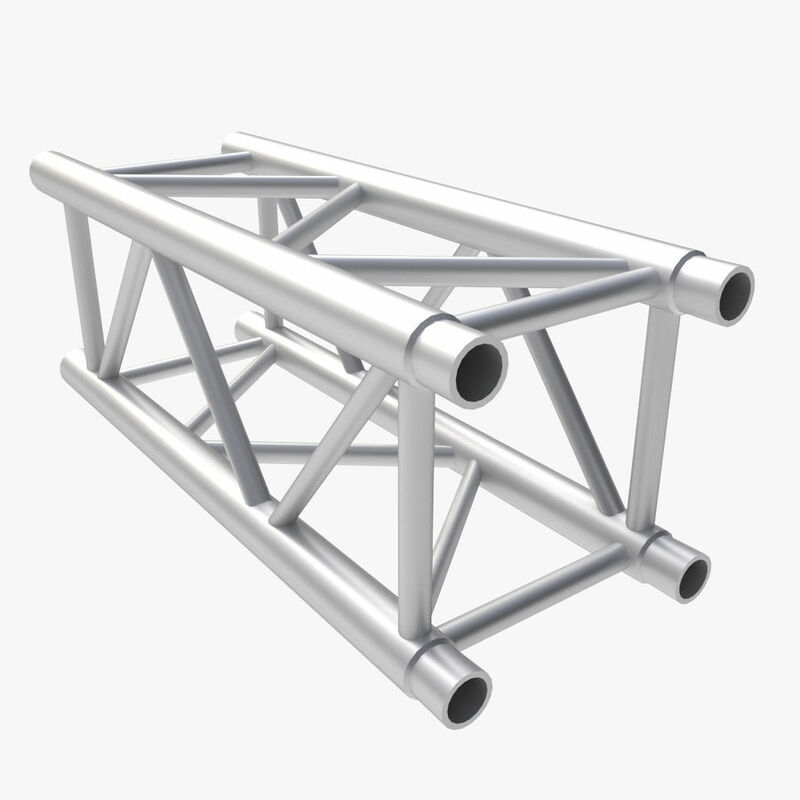 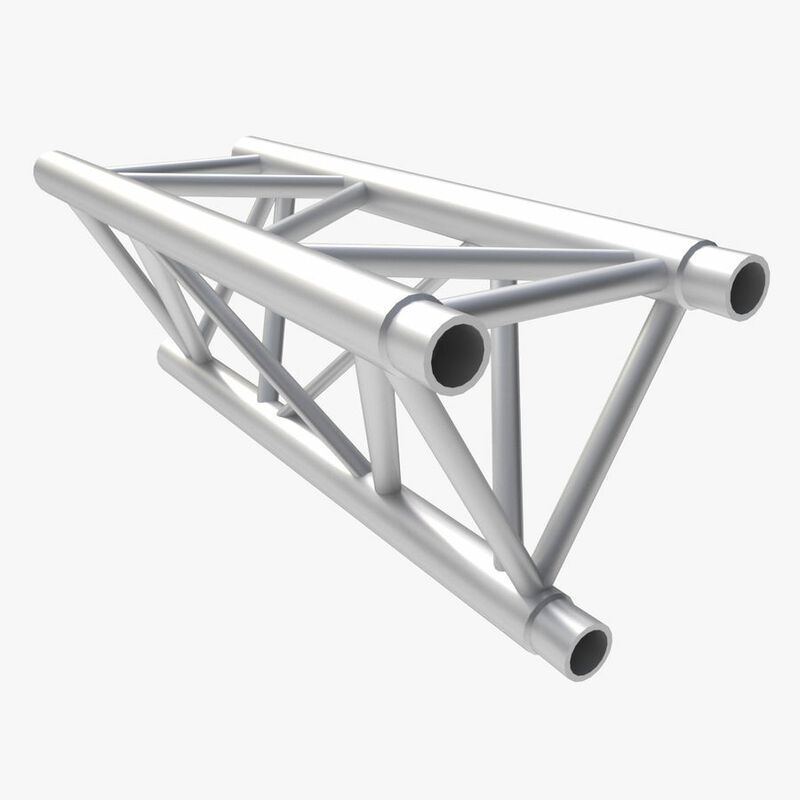 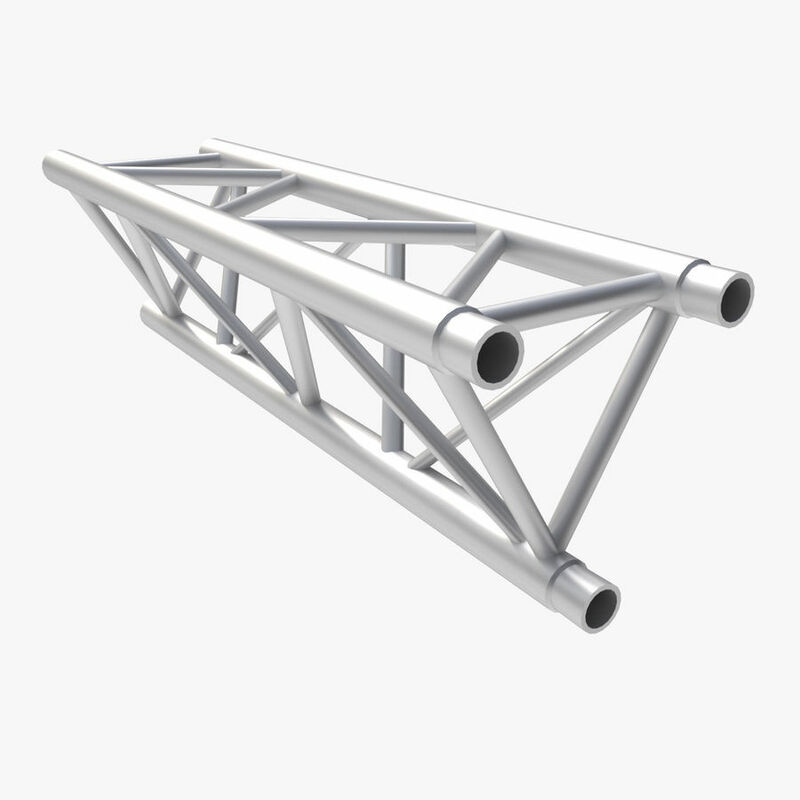 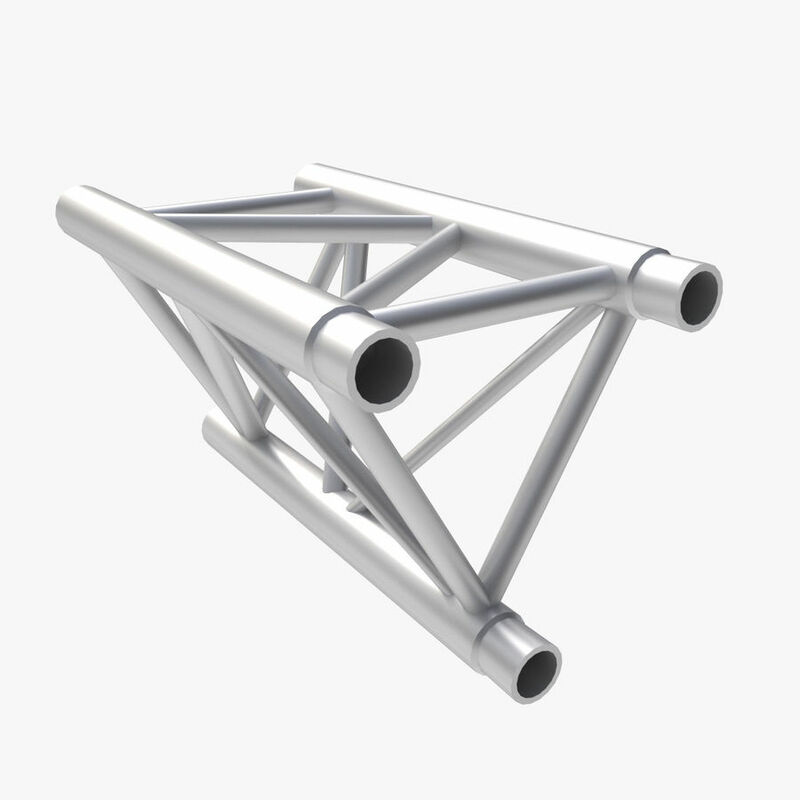 Extra Info; Width and Height are 290mm for all Truss. 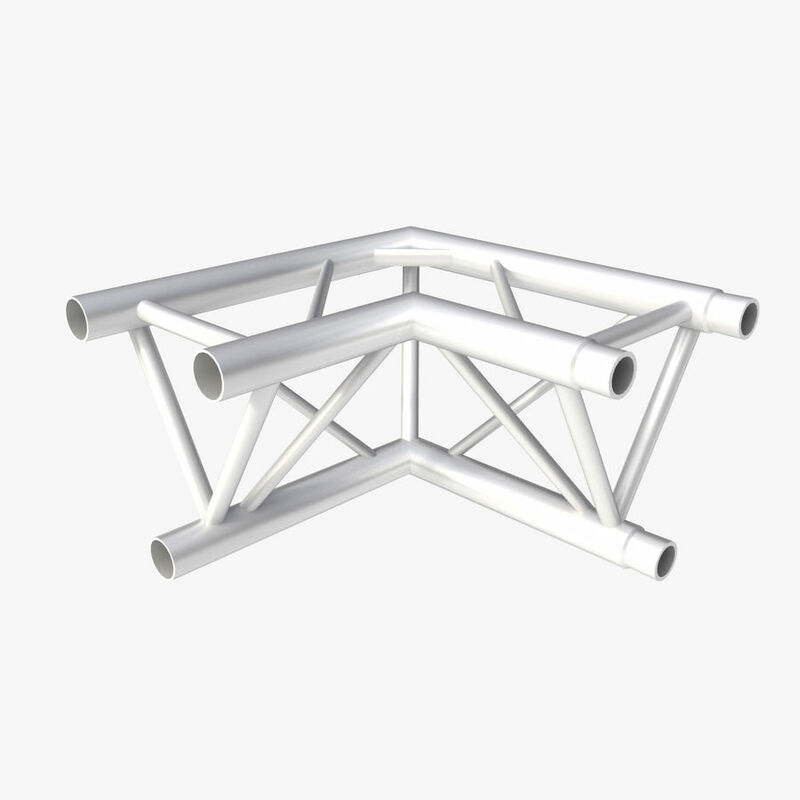 (Lengths Vary between each Piece.) 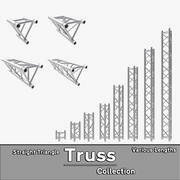 This a Collection of Collections Other collection ID's are; Straight Triangle = 891882 ($10) Corner & Arc = 892073 ($10) Straight Square = 891833 ($10) Presentation Images were Rendered with V-ray.